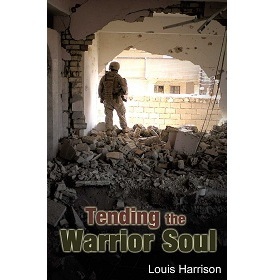 Tending the Warrior Soul is a book in the Other genre written by Louis Harrison. The book was published by Xulon Press on 2013-08-23 and contains 268 pages. The book has an ISBN number of 978-1628392517. Our users found the overall impression of this book to be Educational. This is a beneficial, easy reading, yet very knowledgeable book including scriptures throughout, and many testimonies of our wounded warrior souls and the author who has nearly 50 years experience working with these precious souls. This is a "please read" to aid in caring for the warrior soul and contains an interesting challenge at the end.